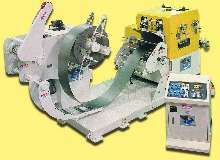 Multifunction Machine feeds, straightens, and unwinds coil. Controller suits stamping and roll forming applications. Coil Handler combines functions to save space. Coil-Feeding Line provides multiple operations. Power Straighteners suit metal stamping applications. 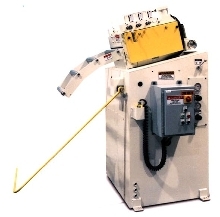 Series 250 provides speed, torque, and straightening capacity needed for light gauge coil metal-stamping. 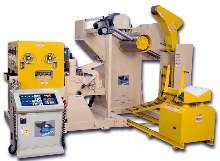 Machines are typically matched with ServoMaster Series 1 and 2 servo roll feeds and 2,500 to 20,000 lb capacity coil reels. They feature oversize Crodon coated pinch rolls, 7 independent straightening rolls, cluster-gear drive drivetrain, and AC-variable speed-drive technology.